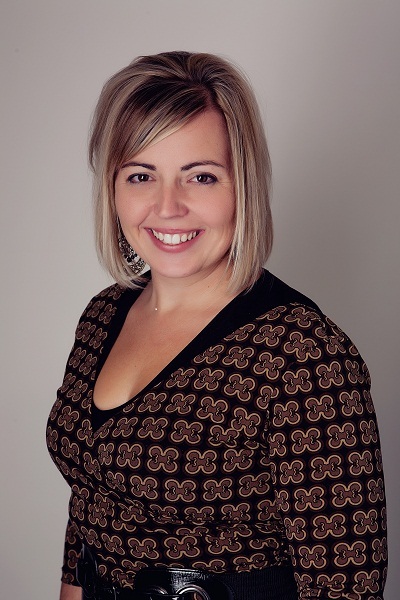 Hi, this is Rachel from Discovery Kidzone Montessori Adventures! Today I am going to talk about writing in preschool. Writing in preschool, really?? What all does that entail? Isn't that "developmentally inappropriate"? This is a subject I have struggled with in my quest to create a well rounded preschool program. 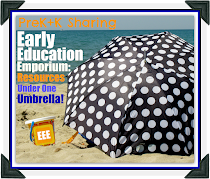 This past year I took an online Kindergarten workshop taught by Crystal Radke from Kreative in Kinder. In her workshop she explained how to introduce a writing workshop in an early childhood classroom. I highly recommend taking her online workshop!! 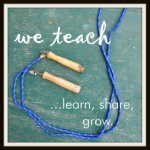 I used the practices that she taught and adapted them to our Montessori program. Not only did a writing workshop help my students become better writers but it made me a better teacher and writer. I am going to tell you the systematic approach I use in my Modified Montessori program to introduce writing at a very young age. 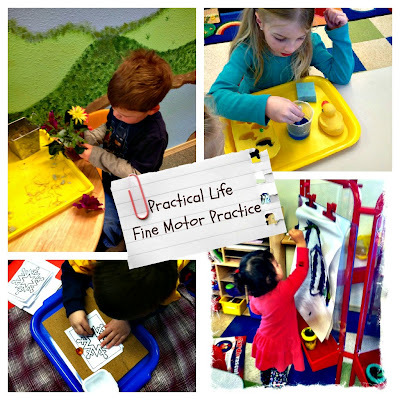 In a Montessori program we place a great deal of focus on the development of fine motor skills before we introduce writing. I consider many of our practical life lessons an introduction to writing workshop. Flower arranging, operating a dropper, push pinning, and easel painting are a few practical life activities that aid in hand eye coordination, proper pencil grip and tracking. As the children are mastering their fine motor skills, new materials are introduced. Metal insets, wood letter blocks and sandpaper letters are the next step. 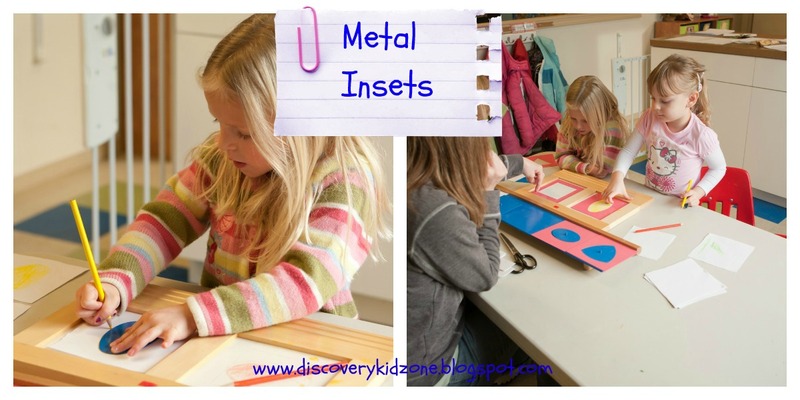 These materials will start the process of combining language with fine motor development. I believe this is an important step in the writing process in order for the child to have proper developmental skills and a complete understanding of language in conjunction with one another. Metal insets are similar to stencils, however, they are two metal pieces. 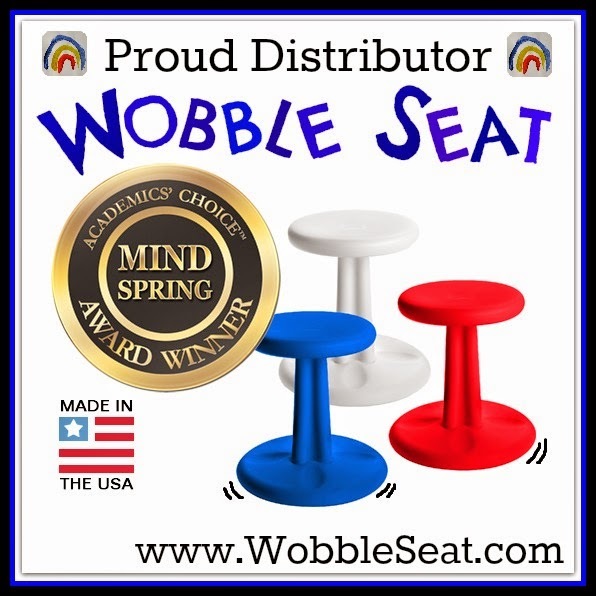 The children practice proper pinscher grasp by grabbing the knob on the middle piece, they can trace the positive or negative piece. This is a wonderful tool to teach writing skills. Wooden letter pieces, playdough letters, sandpaper letters, wikki sticks, letter puzzles and bead letters are all activities we use for fine motor development, letter recognition and word work. 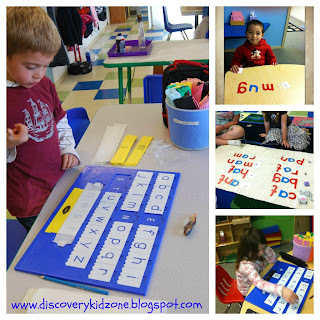 Once a child is familiar with manipulating letters we begin to introduce words, in the same way as letters. They begin by building the words before they write them. To practice these skills we use the insta-learn board, the moveable alphabet, letter and word tiles. In the workshop Crystal talks about drawing pictures using 5 colors. We use directed drawing methods to start out. In our Handwriting without tears curriculum it teaches us to use our wooden letter pieces to build "mat man". This teaches the children to build a picture using shapes. We do drawing workshops at least once a week and the progress they make in this area is amazing!! These drawings were done in March. The next step in preschool writing workshop is adding labels. We do a group writing lesson where we brainstorm and write the labels on a chart together. During work time they draw a picture and add labels. 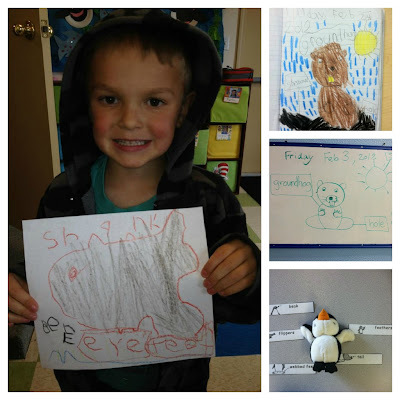 Drawing and writing labels is a great step in preschool development. It teaches the children to love writing, and that writing has a purpose. 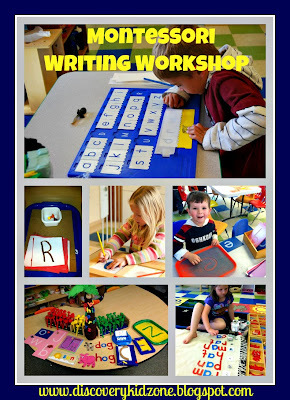 The final steps in the writing process for preschool is practice, practice, practice. We write menus, recipes, phone numbers, food labels and any play based practice we can, to reinforce the love of writing! I never knew how much joy a writing workshop would add to our program and I am so excited and grateful I incorporated it in this year! I can't wait to start planning for the fall. Wow! I love how your class progresses. Thanks for the details and the online class suggestion. This is just fantastic!! I love the idea of drawing and then labeling. Lends itself to using the Montessori Nomenclature as well. This idea is needed in our Montessori inspired preschool. Thank you for sharing. Thank you for your wonderful comments! It is always fun to hear what is going on in other Early childhood classrooms and homes. Thanks Deb! I just noticed this comment. I am excited that I have finally started to blog again. I have missed you all.